Recently I’ve tried Suzy Sirloin‘s fresh meat products, notably, the veal and lamb. The ‘Suzy’ behind Suzy Sirloin is a fifth generation member of the Strassburger family, who has been delivering top quality prime and aged beef to the best steakhouses in the country. 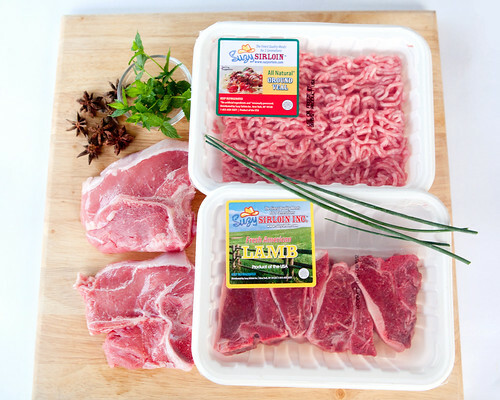 Suzy Sirloin offers American-raised, all natural beef, lamb, pork, and veal that are deliciously nutritious and healthy to consumers. 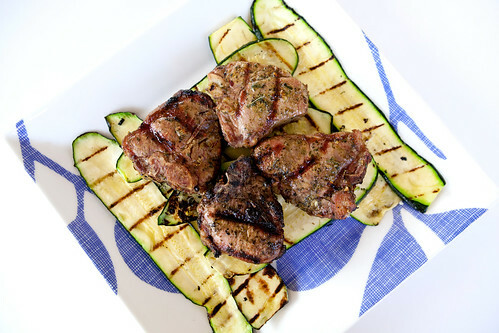 When I cooked Suzy’s lamb chops with zucchini grown from my garden for a recent dinner, it blew my family’s mind how delicious these lamb chops were! The lamb was simply prepared with a touch of olive oil, salt and coarsely fresh ground black pepper then grilled for about two minutes per side. The lamb was juicy, lean, and flavorful.